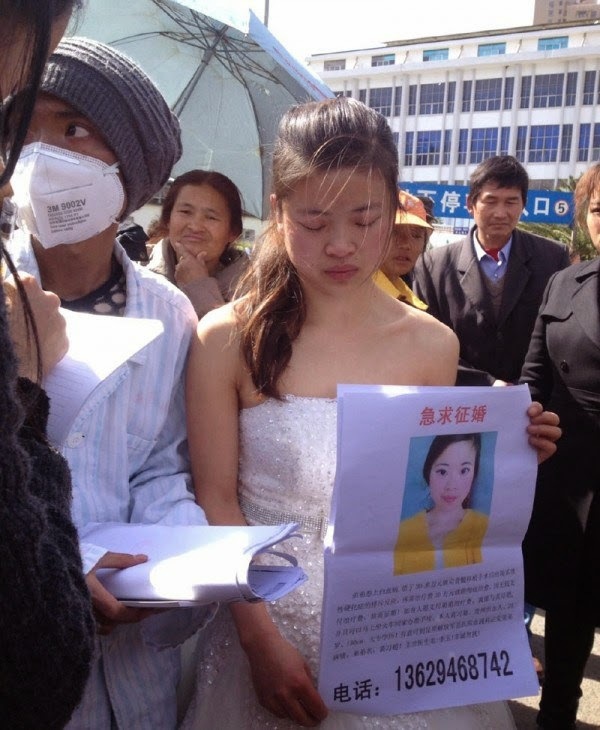 A 24 year old Chinese girl offers marriage to any man willing to help pay the expenses for her sick younger brother, . Huang Xiju caught the attention of the people at a train station as she stood there wearing her wedding dress with her younger brother, Huang Xichao dressed with his hospital gown. 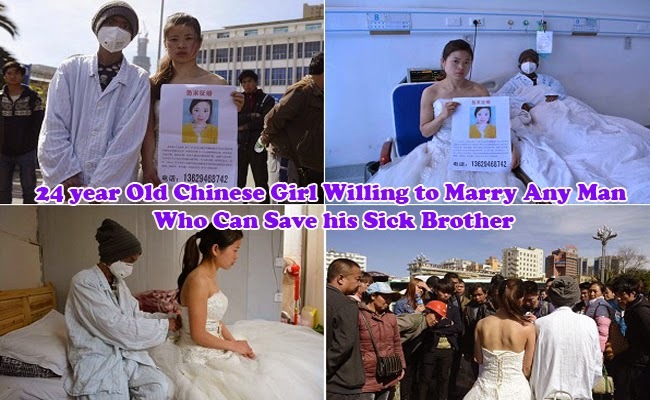 According to a ChinaSmack, the girl held a poster saying that she will be willing to immediately marry the man who will help save her brother who has leukemia. Furthermore, she said that she is even willing to ride the train 0with her soon-to-be husband and register their marriage. With her wedding dress, Xiju easily caught the attention of the crowd. She shared in her sign that her family had a debt of more than 300,000 yuan or around 48,000 dollars for his brother’s bone marrow transplant. Unfortunately, he had a complication that led to systemic sclerosis. Her brother needed 300,000 yuan more to have full recovery. Xiju and her younger brother came from Zhijin, Guizhou province. She said that those interested can go to Hematology Department at Kunming People’s Liberation Army General Hospital to validate his brother’s case with his doctor, Li Yu. She then reminded people that she will only entertain serious inquiries. The family had accumulated debts in three years for her brother’s hospital bills. A month ago their mother died after a fatal fall while taking care of her brother. A series of unfortunate events followed their family, leading Xiju to resort to such action. While some commented that the sister seemed to be desperate with their situation leading to her ultimate offer. Others say that she is willing to even sacrifice herself for her younger brother but some say that the story seemed something that a person would see as a publicity stunt.